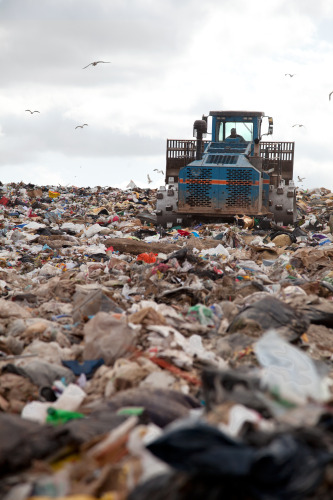 Landfill waste could be a source of clean energy production for the UK (image courtesy of Shutterstock). The company believes that this new technology will allow landfill operators to resale the fuel formed from the natural decomposition of organic material, or use it as fuel for their own fleets of refuse collection vehicles, saving millions of pounds. Renovare Fuels plans to work with existing landfill operators to utilize its technology and produce large volumes of fuel which can then be used to power their own fleets of refuse collection vehicles without any engine refitting required as well as being sold commercially for other vehicles or even ships and planes. The company already has a working pilot and is now raising further funds under the Enterprise Investment Scheme to build a mobile commercial scale unit to run demonstrations for the six main landfill operators in the UK. The comany then plans to develop a full-scale facility to produce gasoline and diesels from landfill gas. If a demonstration plant trial proves successful, the company believes a full-scale facility could produce up to 190 barrels of hydrocarbon fuel per day and projects revenues of £12.8 million in 2018, rising to £38.3 million in 2020. The company has stated the technology could be adopted in other markets around the world, with interest already being shown from the Middle East and south-east Asia.